For those looking for a no-frills, basic combat boot, look no further than Corcoran's black leather, plain toe Jump boot. This soldier's best friend comes with a lug sole for added traction: a necessity when going into a variety of environments. This unlined, polishable boot also adds a cushioned insole, which will help ease the burden on your feet when out in the field. 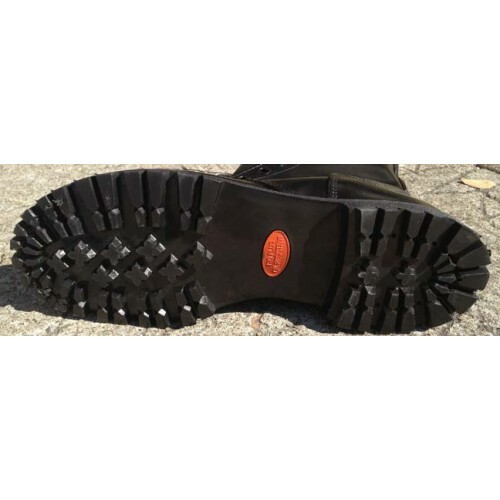 A steel shank is embedded in the boot, helping increase stability and reducin the rusk of injury to your foot during training, combat, or everyday life. A storm welt construction also increases the durability of this boot. 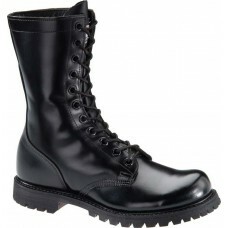 Those long marches can take a toll on a soldier's footwear; so you need a high quality boot that will last. This boot stands out in its simplicity and clean look. For those who enjoy a military look, these sleek militia boots should do the trick!